When it comes to controlling or removing wild animals from your home it is best to call the experts. With so many types of critters it is sometimes hard to know how to handle them and can be dangerous if attempted on your own. Here at Animal Control NYC we specialize in trapping and removing animals in a humane and safe manner. When you book an appointment with Animal Control NYC we will make sure to send out our best licensed technicians for your particular case. We will provide a extensive assessment of the property and let you know exactly what measures we will take to remove your unwanted guest as well as ways to help prevent future visits. 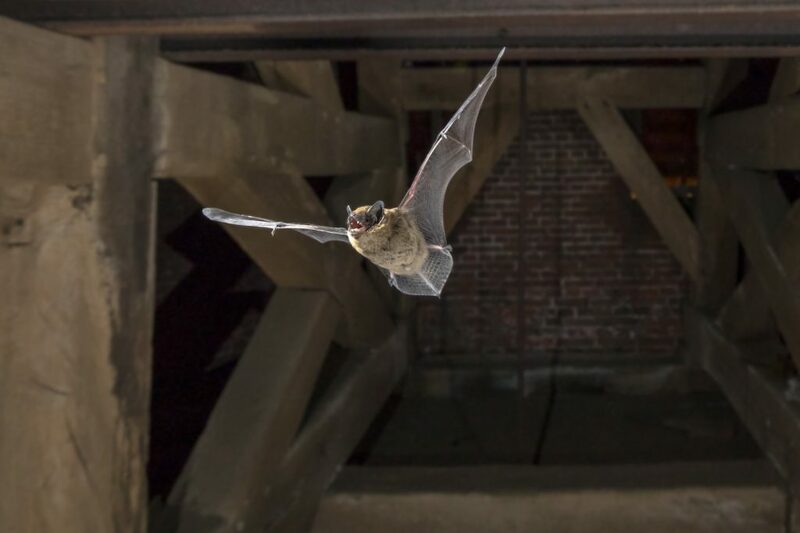 Regardless if you have flying friends in the attic or furry ones in the basement, we can help! 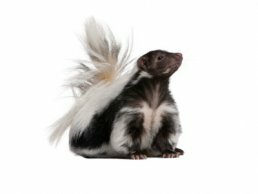 Since most of the unwanted guest do not come through your front door it is usually through small holes and openings in the roof or foundation that give access to your home to small furry critters looking for a warm place to stay, especially during the winter. The experienced technicians at Animal Control NYC can make sure to locate all of these small openings and fill them properly with anti-critter materials and if needed, repair larger holes or gaps in your attic, basements or home in general. 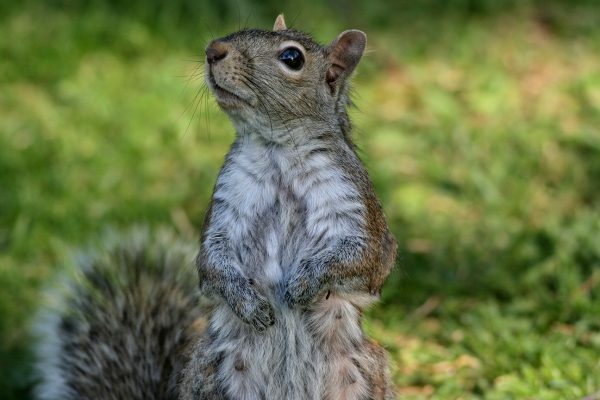 So if you hear scratching in your attic or squeaking in your basement, be sure to call the experts at Animal Control NYC because it is likely you have squirrels, bats, raccoons or unwanted critters in your home and it is better for us to find them before they find you! From trapping to prevention options, the Animal Control NYC experts can help you keep your home critter free! We use high quality traps and equipment to make sure the job is done right the first time. You can count on US 24 hours a day, 365 day a year. Need emergency animal control? We can come to your home or office 24 hours a day to remove any critters that may be invading you. 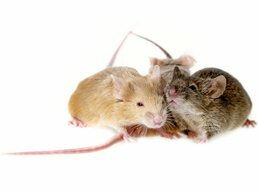 Do you believe you have mice or rats in your home? Have you been finding packages of food with bites or small little holes on the packaging? Do you see small droppings in your kitchen? Worst, yet do hear their cries and running around? Unfortunately, your home has been invaded with mice or even worse rats. 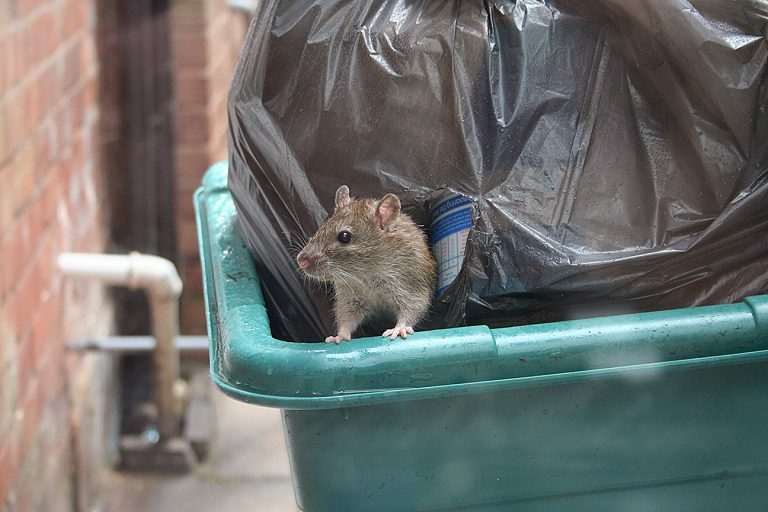 If you are positive you have a nice or rat problem in your home it’s best to leave it to us, Animal Control NYC. 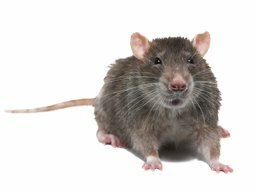 You might think that getting rid of mice or rats is as simple as putting out a trap or rat poison, but it is a little more complicated than that. Animal Control NYC can handle any type of animal removal. From living to dead animals we are highly trained professionals who have been in the industry for many years. We service NYC, Brooklyn, Staten Island, Bronx, Queens, Long Island City. Give us a call 646-741-4333. 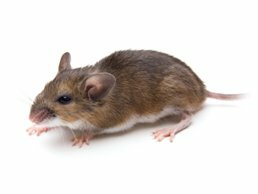 Let us handle your mice and rat problem because they can be dangerous to your health and to your home. It does not matter what time you give us a call we are a 24 hour service open 365 days of the year. Receive your free quote now! 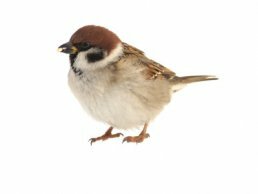 Are birds taking over your home? Are you noticing your gutters are clog? 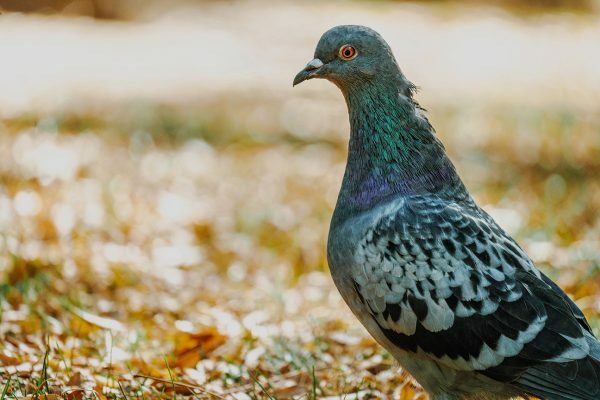 Is there bird feces everywhere on your property? Have you noticed a nest on your property? Birds can be a huge problem for any homeowner. Birds carry diseases that will affect you and your family. If you suspect you have birds taking up residency on your property its best to leave it to us, Animal Control NYC. 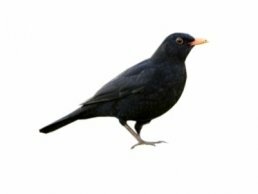 Birds can be a costly nuisance to your home if you ignore this problem. Birds will clog your gutters and they will block the air flow with nesting debris to your home. Animal Control NYC can handle any type of animal removal. From living to dead animals we are highly trained professionals who have been in the industry for many years. We service NYC, Brooklyn, Staten Island, Bronx, Queens, Long Island City.Give us a call 646-741-4333. 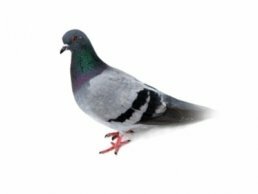 Let us handle your bird problem because they can be dangerous to your health and to your home. It does not matter what time you give us a call we are a 24 hour service open 365 days of the year. Receive your free quote now! You wouldn’t think squirrels could be a pesky critter since they keep to themselves out in the wild. You see these cute animals roaming the parks, up in trees, collecting their food for the winter days, and at times you might see them in your yard. Running around, walking your fence, perhaps even climbing your tree. Until one day you hear some noise in your attic. During the winter months is when squirrels look into a warm place to set up their nest. Squirrels are very common in residential areas and are often found in the yards and homes. 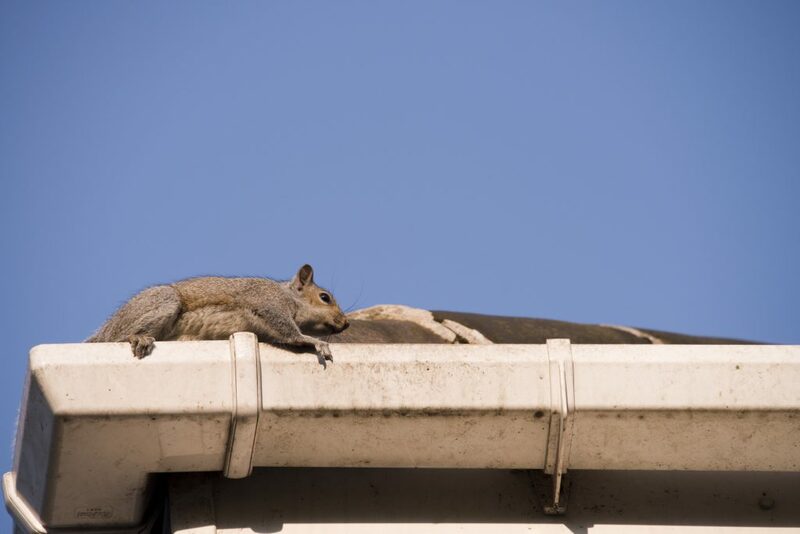 Squirrels sometimes find their way into the attics of homes where they build nests and enjoy protection from cold weather. When you think of chipmunks you think cute and the adorable Disney characters from your childhood. Well, as cute as they are they also cause a lot of damage to residential homes. 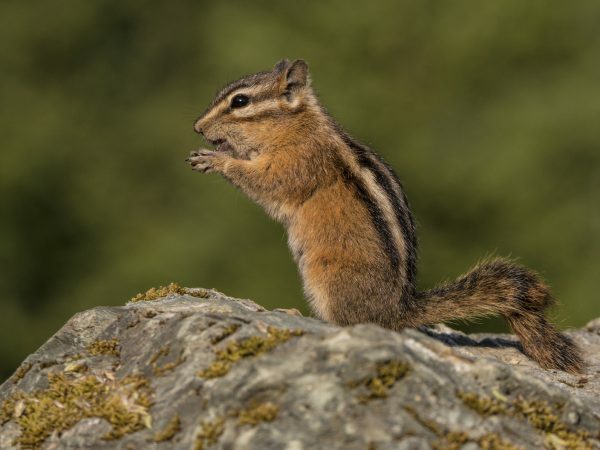 Chipmunks will dwell in your flower beds, near rock walls or your sidewalk, or on your lawn. So, what to do? Well, the best thing to do is to leave it to the professionals. 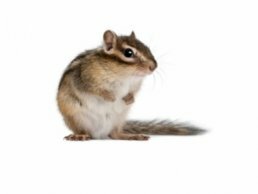 Animal Control NYC will remove the chipmunks from your property in the most humane way possible and make sure the chipmunks don’t have a way of coming back. 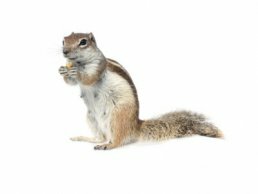 Let us handle your chipmunk problem because they can be dangerous to your health and to your home. It does not matter what time you give us a call we are a 24 hour service open 365 days of the year. Receive your free quote now! Raccoons live in streets of New York City at least that is what you think.Yet, raccoons are very clever animals which can be found almost anywhere. They can in fact be found living near or in your home. Raccoons can in fact make a nest in your home since it’s safer than making one outside. What to do? Well, the best thing to do is to leave it to the professionals. 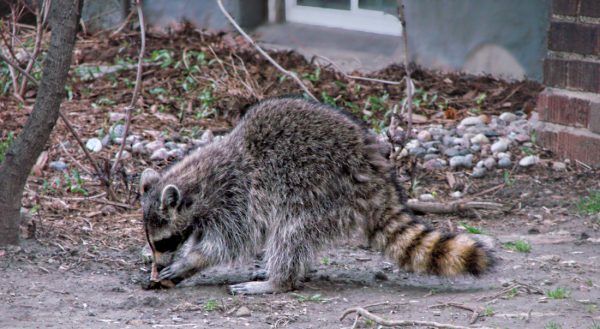 If you feel you have a raccoon or a family of raccoons in your residency its best to leave it to us, Animal Control NYC. Raccoons can carry rabies and the last thing you would want is to get bit or scratched by one because you wanted to remove them yourself. Give us a call 646-741-4333. 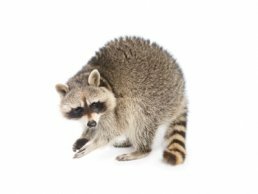 Let us handle your raccoon problem because they can be dangerous to your health and to your home. It does not matter what time you give us a call we are a 24 hour service open 365 days of the year. Receive your free quote now! Opossum or possums as they are normally called can be a nightmare to everyone in your home. Imagine this mammal in your home staring you down and baring its teeth at you. 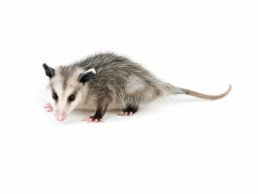 Opossums are opportunistic animals which can dwell in your attic, outside in shed, enjoying your vegetation in your garden, stealing your pet’s food, or your ripping apart your garbage. Possums are smelly animals, not very clean, can leave large feces behind, and carry parasitic diseases. 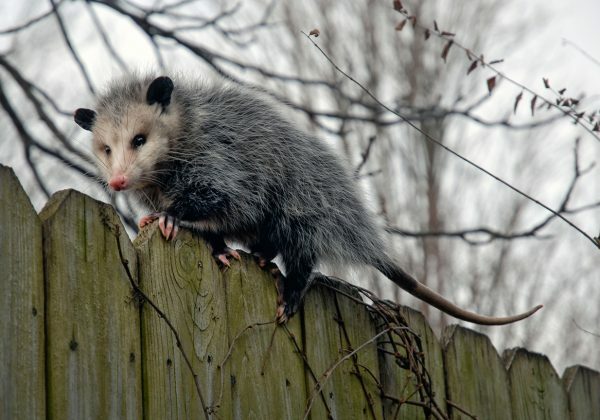 Let us handle your opossum problem because they can be dangerous to your health and to your home. It does not matter what time you give us a call we are a 24 hour service open 365 days of the year. Receive your free quote now! Groundhogs only seem to be a problem when predicting the weather but truth be told they can become a huge problem if you have a garden fully stock of vegetation they enjoy to gorge on. 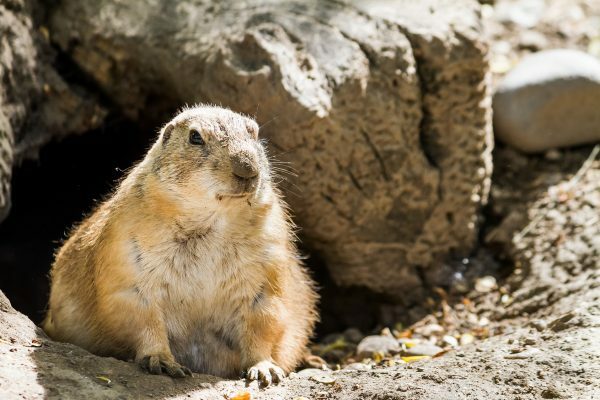 The groundhog is one of the most frustrating pests to have to deal with. If you notice mounds on your property, digging around or near your porch, tunnels leading to smaller holes you have a groundhog problem and you should call Animal Control NYC. We know the best way to remove a groundhog is by trapping them and removing them from your property. Let us handle your groundhog problem because they can be dangerous to your health and to your home. It does not matter what time you give us a call we are a 24 hour service open 365 days of the year. Receive your free quote now! 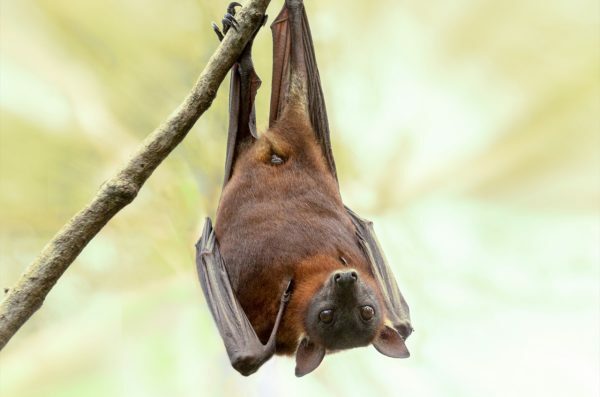 What people might not understand is bats do like to live in the attics of peoples’ homes. You won’t come to find out you have a problem until its too late. So, what to do? Well, the best thing to do is to leave it to the professionals. 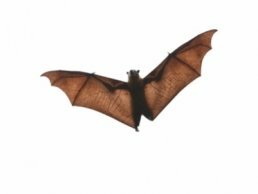 Let us handle your bat infestation problem because they can be dangerous to your health and to your home. It does not matter what time you give us a call we are a 24 hour service open 365 days of the year. Receive your free quote now! Snakes are one of the most feared animals in the world. You would think snakes wouldn’t dwell in the cities of New York. Well, think again. 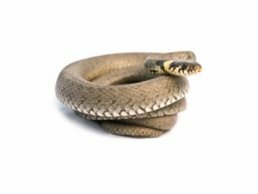 We have a population of varies snakes which include the common garter snake, rat snake, and some venomous snakes such as the copperhead. So, its best to leave it to the professionals especially if you have a fear of them. You don’t want to cause any more harm to your home and especially yourself. Animal Control NYC we know what we are doing when it comes to snake removal in your home. We have years of experience in pest removal services and know how to best handle each individual case of pests. 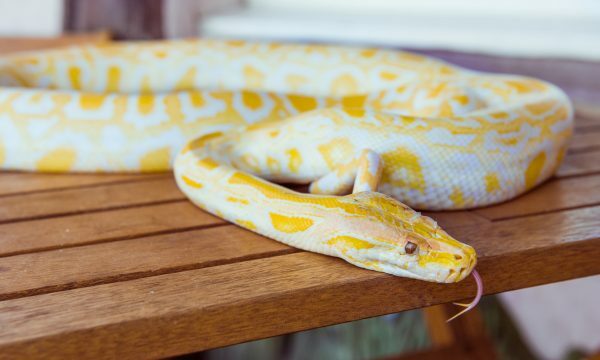 Let us handle your snake problem because they can be dangerous to your health and to your home. It does not matter what time you give us a call we are a 24 hour service open 365 days of the year. Receive your free quote now! Animal Control NYC Removal Services is a team of experience professionals servicing the New York area for many years. We can efficiently handle any removal of any wildlife in the area. If you are having a problem with wildlife in your home, your best option is to hire a company that specializes in New York wildlife removal only. 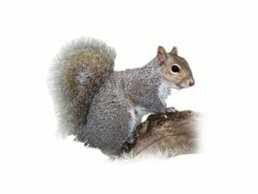 This is a specialty business, and regular pest control companies do not use the proper techniques to solve wildlife removal problems. Let us handle any wildlife problem you might because have in your home. It does not matter what time you give us a call we are a 24 hour service open 365 days of the year. Receive your free quote now!